You may be putting in hard work and countless hours when it comes to sales and promotions to get new business, but how much are you capitalizing off your existing customers? Referrals are one of the most effective ways of getting more business, but it is also one of the most often overlooked aspects. Having a referral program in place is half the battle, but you also want something that will stand out to your customers. Whether you are a referral-based business or a company that utilizes referral programs to drive sales, here are six things to remember when you use them. If someone refers your business to their coworkers or clients, they need to be confident that your business will deliver on the promises that were made as they boasted about your company on your behalf. If they are unsure about your company’s best quality, then chances are they already have one foot out the door. Consumers want to do business with experts, so if you push too many services or too wide a range of items that are not performing at the same high quality across the board, then consumers will be confused about your brand and will not refer you to others. So, by building a brand around one thing that makes you an expert, you become easy for others to refer to when they meet people who depend on the same service. Consumers are happy to spread the word about your business, especially when you are known for something that no one else has. But sometimes people simply forget, or some may not realize that a friend or family member is looking for the same service to begin with. So, give them a little push and politely ask for a referral to new clients, especially if you have a luxurious travel incentive to offer as a thank you for their referral. What better time to ask for a referral than when you know your customer is happy with your service? The next time someone pays you a well-deserved compliment for a job well done, take the opportunity to thank them and ask them for a referral. 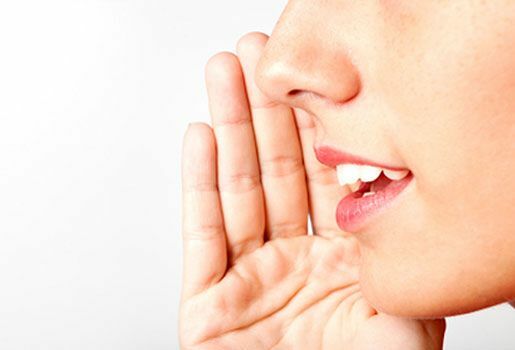 Let them know about your referral program, and ask if they know of anyone who will benefit from your business. It is that simple! Fill in your customers about the information they will need to have when the time comes to follow up with their referral success. It pays off to put their mind at ease when you have a professional, simple and valuable follow-up process that lets them know you will contact them when it comes time for them to claim their reward for referring you the business! Your consumers are savvy, and they can tell the difference between a true opportunity and an easily forgettable offer that doesn’t give them much value. Odenza carries travel incentive packages that give your customers a valuable vacation opportunity. You choose which package you think would suit your store and clientele the most, and we ship you the travel certificates, the materials to dress up your showroom, and we prepare the execution for you to push your referral program in the direction you want it to go. It’s Time to Get Those Referrals In! At Odenza, we are the ones you can count on to help you develop a successful referral program. Using travel incentives to capture your referrals is a great strategy to keep business booming. Not only will your customers pass the word along to new clients for you, but you will see them come back in the future to take advantage of more of your exclusive deals. Get your free sample plan or call us at 1-866-883-2968 today to get started on a referral program that works! Find out how Future Hyundai not only acquired new customers but also saw an unprecedented number for referrals with Odenza’s cruise incentives.